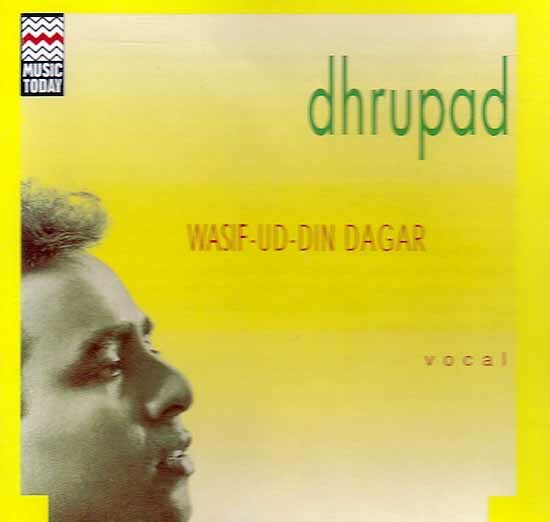 Dhrupad is the oldest form of vocal and instrumental music in the Hindustani tradition that is being practised even today. It is first mentioned as a fully evolved form in the late 15th century musical treatise Man Kutuhul compiled by the scholar – musicians of Raja Mansingh Tomar’s Court in Gwalior. Unlike the ebullient khayal tradition, Dhrupad is austere in character but graced by a grave and enduring beauty. The demands it makes on its practitioners, both vocalists and instrumentalists, are many. Strict adherence to the architecture of the raga, respect for the tala or beat cycle in a given composition, and organic or natural attainment of Bhava are an exponent of Khayal and related music, does not have at his command a dramatic device like the taan (roulade) rendered at various speeds and volumes. He must express himself through single notes that are clear, sustained, soft, sharp or flat and those that glide (meends) or vibrate (gamaks). Masters achieve intensity and equilibrium through judicious use of Shruti or microtones in their musical explorations. Ahir Bhairav is an early morning raga with all the seven notes in the scale employed in the ascending and descending figures. In addition both Komal rishabh and, later Komal Nishadh are also brought into play, which gives the raga its pathos. The Dhamar composition ‘Chalo Sakhi Braj raje…’ is set to a 14 beat cycle and has a slow, majestic gait. There is a slowly undulating rhythmic interplay that ensues between sahitya or the sung text and the percussion accompaniment on the pakhawaj. In Bageshree, all the seven notes in the tonal scale figure in the ascendent while the descent is marked by a Vakra Pancham, that completes its course in a slightly delayed sensual curve to bring out latent, surging emotion. It is a vehicle for distilled feeling where parting and longing are addressed with grace and style. F. Wasifuddin Dagar renders the alap keeping in mind the architecture of Bageshree, followed in the traditional Nom – Tom pattern. The singing is quiet and detached. Hidden depths of emotions are suggested obliquely. There are four known schools or modes of Dhrupad namely Nauhar Bani, Gauhar Bani, Khandar Bani and Dagar Bani. The Dagars come from the village of Ambetta in, Saharanpur district of Uttar Pradesh. Musical research says that the Dagar Gharana has been in existence for nearly five hundred years. The present day Dagars are said to be largely the descendents of the two great turn – of – the – century stalwarts Zakiruddin and Allah Bande Khan who had settled in Central India, i.e. Rajasthan and Madhya Pradesh.